If you’ve contracted a dangerous bacterial infection after heart valve replacements or coronary artery bypass graft surgery – and possibly received a warning letter from a hospital regarding a defective machine used during your operation – you need to contact Carr & Carr immediately. Carr & Carr is currently investigating cases for patients who have developed severe bacterial infections associated with the use of a heater-cooler device used during heart surgeries. Heater-cooler devices used in heart surgeries have been linked to serious bacterial infections, which may be fatal in some patients. 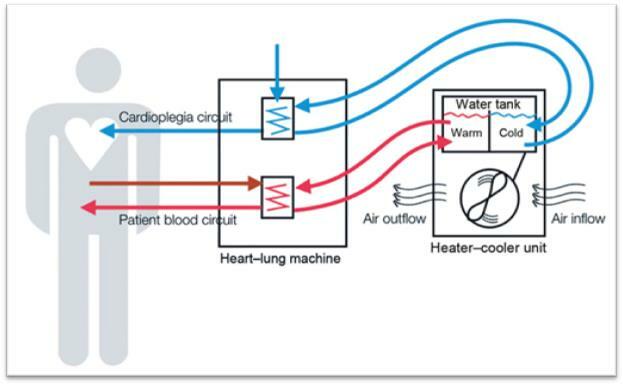 According to the FDA, there is potential for nontuberculous mycobacteria (NTM) contaminated water contained in the heater-cooler tanks to transfer from the device into the operating room, where it can travel into the patient’s open chest. Obviously, bacteria-contaminated water particles in an open chest are a health concern. Read the FDA Executive Summary. Carr & Carr’s personal injury attorneys have experience helping patients with defective medical products including Bair-Hugger Warming Blankets, IFC (Inferior Vena Cava) filters, and heater-cooler devices used in surgery. We have offices in the Tulsa and Oklahoma City, Oklahoma, areas as well as in northwest Arkansas. To arrange your free consultation, please call us at 888-241-3130.